In my previous post, I explored the concept of connected hotels. We looked at how new technologies are bringing the hotel experience to life and responding to guest needs along the entire customer journey, from booking through to providing feedback post-stay. But there’s still a lot of work to do before connected hotels can truly become a reality. So what kinds of technology and applications are we already seeing in this industry and what challenges are hotels facing when it comes to implementing these solutions? From the customer perspective, the demand for connected hotels is already here. Consumers are increasingly mobile-focused ; 90% of people use multiple screens to accomplish a task and 43% switch between devices when planning to travel. They are ready to see a transformation in the hotel industry to a more connected and mobile experience that is integrated across smart devices. Equally, the technology is already there to support this demand, as is the expertise to bring all the products together. 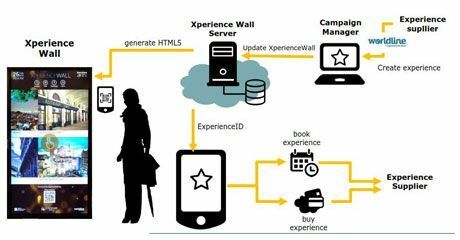 One solution we are particularly excited about is the ‘XperienceWall’, which we demoed at Mobile World Congress in Barcelona earlier this year. 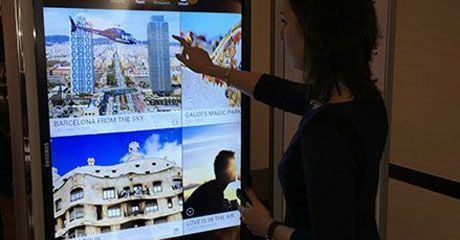 It is a digitized screen that guests can interact with, highlighting promotions and discounts for local experiences, such as city tours, restaurant deals or exclusive experiences like a helicopter flight. Through a QR-code reader, guests can then book their desired experience via a smart device. The next step will be to add facial recognition features, offering an even more personalised experience, by providing guests with local information to enhance their stay in a very innovative and playful manner. As with any business, ROI is crucial for the travel industry and hotels need to be convinced of how connected technologies can add value to their proposition before they start making any significant investment. Traditionally, technology has played a limited role in enhancing the guest’s experience of the hotel. For instance, offering Wi-Fi connectivity in hotel lobbies or rooms is something that has only been made available in recent years. Today, however, technology is an essential part of any successful business, across all industries. For a truly connected hotel, having a robust broadband connection available to all guests is the very least of requirements. Incorporating a digital platform into their infrastructure would enable a hotel to facilitate customer interaction using a range of channels, including laptops, smartphones, wearables, kiosks and digitized screens. The next stage would be to build up the connected solution, adding different services and applications that meet the specific requirements of a hotel and its clientele – for example, promoting restaurant recommendations based on typical buying habits and personal tastes on digitized screens. Soon we could see integrated customer care and feedback, booking of services, digitized loyalty cards and seamless payments all made possible by connected hotels. 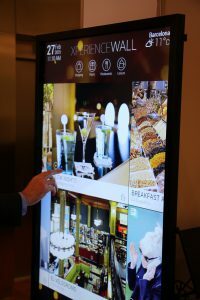 The good news is that we are starting to see forward-thinking hotel chains bringing in connected services, initially introducing preliminary solutions such as digitized check-in/check-out kiosks and smart keys. If we continue to make progress at the pace we’re moving at today, I’m confident that we could just be a couple of years away from our first experience of a truly connected hotel.